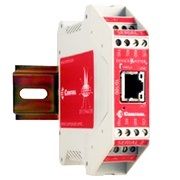 The DeviceMaster designed to enable communication between factory floor devices and PLC controllers. Offering a simple solution that can be configured in minutes via the web which allow the of support of major Industrial Ethernet protocols – EtherNet/IP™, PROFINET IO, or Modbus/TCP – on a single platform. ESD Surge ProtectionMinimum 25KV for all serial lines. All ethernet components are rated to 1.5KV magnetic surge protection.